The Harlingen High School South Hawks Men’s Track Team won the 32-6A district title held in Weslaco on Saturday, April 8. The meet came down to the mile relay, the final race of the evening. The Hawks finished in 1st place winning the meet by 1 1/2 points. 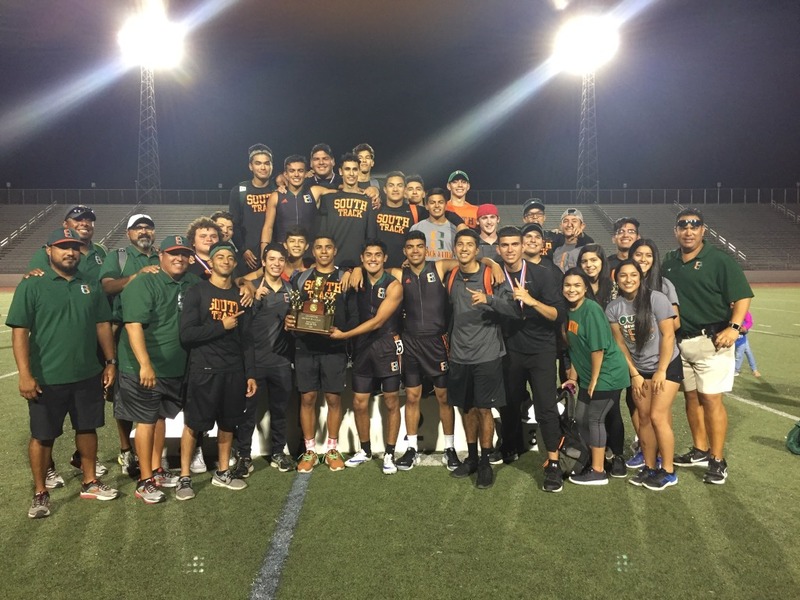 Harlingen High School Men’s Track Team came in second place. The competition came down to the last race and the South Boys Track team was ready for the challenge. It was a total team win and every point was crucial to the team’s success and the second team title in school history. The South coaching staff thanks the entire team and family and friends that have supported them all year.